Prof. Dr. Adrian Yap is Head and Senior Consultant, Department of Dentistry, Ng Teng Fong General Hospital, National University Health System (NUHS). Dr. Yap is also Adjunct Professor of the School of Science and Technology, SIM University as well as the Faculty of Dentistry, University of Malaya and Universitas Indonesia. In addition, he is also a Clinical Associate Professor and Honorary Professor at the Faculty of Dentistry, National University of Singapore (NUS) and the University of Hong Kong respectively. 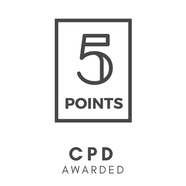 Dr. Yap obtained his BDS degree from NUS in 1991 where he received several awards including the FAC Ohlers Gold Medal for best clinical student and Terrell Silver Medal for distinction in Prosthodontics. He went on to pursue his post-graduate training and graduated from the Institute of Dental Surgery (University of London), where he was conferred the prestigious 3M Dental Postgraduate Prize, with a Masters in Conservative Dentistry in 1993. 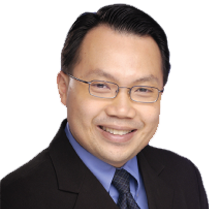 Dr. Yap obtained his Doctor of Philosophy degree from NUS in 2001 and his Graduate Diploma in Psychotherapy from the Faculty of Medicine, NUS in 2004. On top of his academic accolades, Dr. Yap has also received many teaching, service excellence and research awards in the areas of Craniofacial Biology and Dental Materials. Dr. Yap is known for his expertise in Temporomandibular Disorders, Dental Sleep Medicine and Restorative Dentistry. He lectures world-wide and has authored more than 190 refereed journal articles (H-index of 39), 600 conference / seminar papers, several book chapters and patents in these areas. Dr. Yap reviews for numerous international periodicals and serves in editorial boards of many academic journals including Operative Dentistry, Journal of Oral Rehabilitation, Journal of Craniomandibular and Sleep Practice (CRANIO) and Current Nanoscience. Temporomandibular Disorders (TMD) refer to a collection of medical and dental conditions affecting the temporomandibular joints (TMJ), masticatory muscles and / or associated structures. They are the most common cause of chronic orofacial pain and are the second most widespread musculoskeletal pain. Population studies show that approximately 75% of people have signs while 33% have symptoms of TMD. In addition to headaches and facial pain, other TMD signs and symptoms include otic complaints, jaw joint sounds, jaw function difficulties, limited or abnormal jaw movements as well as catching / locking of the jaws. Due to their diverse expressions, TMD pain and dysfunction can affect various aspects of life and impair the quality of life (QoL) of individuals. Etiological concepts of TMD have evolved from primarily biomedical to the multifactorial biopsychosocial paradigm. The biopsychosocial model views a combination of biological, psychological and social / cultural factors as essential in causing, maintaining and exacerbating chronic TMD. This lecture aims to introduce TMD, their classification, signs / symptoms as well as etiology, and briefly discusses the screening and management of TMD. The Impact of TMD on QoL will be examined in depth as with the outcome of TMD interventions on QoL. The majority of TMD patients respond well to conservative therapies but for some the TMD are more enduring and may develop as a reaction to psychosocial stresses. The management of these patients is more complex and necessitates multi-disciplinary care based on the biopsychosocial model. A shift in clinical mind-set from focusing solely on objective treatment measures to a more holistic, patient-centric approach of addressing patients’ expectations and improving QoL is warranted when managing individuals with TMD.